Authorities of the Federal College of Fisheries and Marine Technology (FCFMT) invite applications from those interested in a career in one of the their ND programmes to apply for the 2018/2019 academic session post UTME screening exercise. Federal College of Fisheries and Marine Technology ND Courses & Requirements. O’ level credit passes in English Language, Mathematics, Physics, Chemistry, and any one (1) from Further Mathematics, Technical Drawing, Biology/Agricultural Science and Geography. O’ level credit passes in English Language, Mathematics, Chemistry, Biology/Agricultural Science and any other Science or Social Science subject. 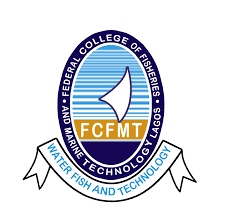 Federal College of Fisheries and Marine Technology Post UTME Eligibility. Candidates who selected the Federal College of Fisheries and Marine Technology (FCFMT) as their choice of Institution for the 2018 JAMB UTME and have a score of at least 100. JAMB candidates who did not previously select FCFMT as their choice of institution but are desirous of gaining admission into the College and have a JAMB UTME score of at least 100 are also encouraged to participate in the screening exercise. How to Apply for FCFMT Post UTME. ND candidates should visit any branch of commercial banks, ask for Remita in respect of Federal College of Fisheries and Marine Technology NDprogramme and make the required payment. After payment, the bank teller will provide a printout which contains the RRR number required to proceed with online registration. 12. This generates the RRR Code which you can print and take to the bank for payment. Having completed the steps above, candidates should visit the FCFMT website and click on Registration to begin data entry on the online form. Data such as the RRR number used for payment and bio-information should be filled. Thereafter, candidates should upload scanned copies of their SSCE/GCE/NECO/NABTEB and JAMB score.Their passport photographs, which should not be more than 1MB in size should also be uploaded. All applications for admission will close on Friday 31 August 2018. Successful candidates would be contacted via email and also published at the College’s website at the appropriate time. Therefore candidates are advised to provide valid email addresses and phone numbers during registration. Candidates are equally advised to visit the College’s website from time to time for important information after successful registration. For further enquiry, candidates may wish to contact us on 08030768901, Or by email on info@fcfmt.edu.ng.